You’ll never look at a garbage can in the same way again. Or a shopping cart, or a newspaper for that matter. These are just some of the many objects used to create a unique blend of sound and rhythm in the Broadway Sacramento production of STOMP. What started out in 1981 as a series of street comedy musicals with everyday street objects has morphed into today’s award-winning Broadway production that can be seen at Sacramento’s Community Center Theater now through Sunday, February 10. I didn’t know a lot about STOMP going in, and I admit feeling a bit skeptical that a “musical” without singing or dialogue could capture anyone’s attention for more than 15 minutes. I also invited my dad along, adding another layer to my uncertainty; what would he think of this unconventional musical? But within minutes, I was a believer and we were both tapping our feet, clapping our hands, and laughing at the humor. The show opens with the cast sweeping — yes, sweeping. Who knew that could be so exciting? 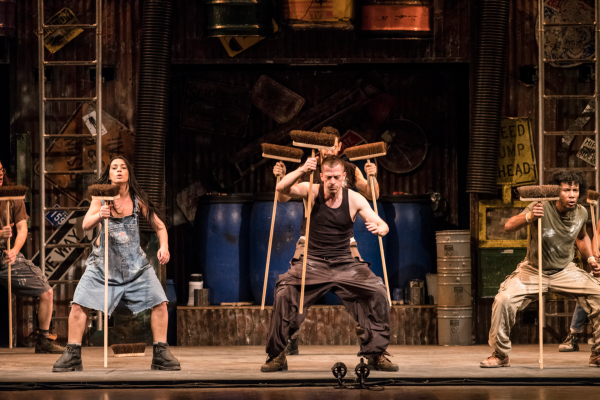 One by one, cast members appear on stage using the broom to create sounds and rhythm that build off one another while using dance, facial expressions, and hand gestures to communicate with one another as well as the audience. With each new number, the talented cast introduces a different street object to jam with. Paint cans, inner tubes, cigarette packs, lighters, water bottles, and even the good, old-fashioned kitchen sink. (Pay special attention to this number’ it’s hilarious and unexpected at the same time.) Some of the numbers are toe-tapping and foot-stomping, while others are subtle and humorous. 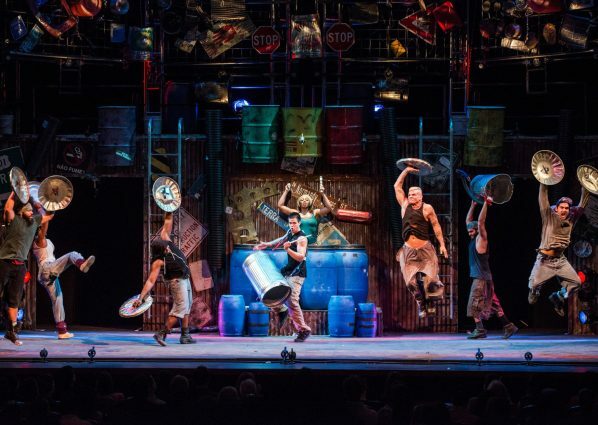 While not your typical Broadway show, STOMP is definitely worth seeing — if not for just marveling at the talent and endurance of the cast members. Find remaining tickets and showtimes on Sacramento365.